First of the two final bouts to determine the winner of the 2011 Empire Skate Showdown. I unfortunately had to leave before the second bout and missed the Wall Street Traitors winning the championship. I will be posting the rest of the photos by bout in chronological order as they are completed. 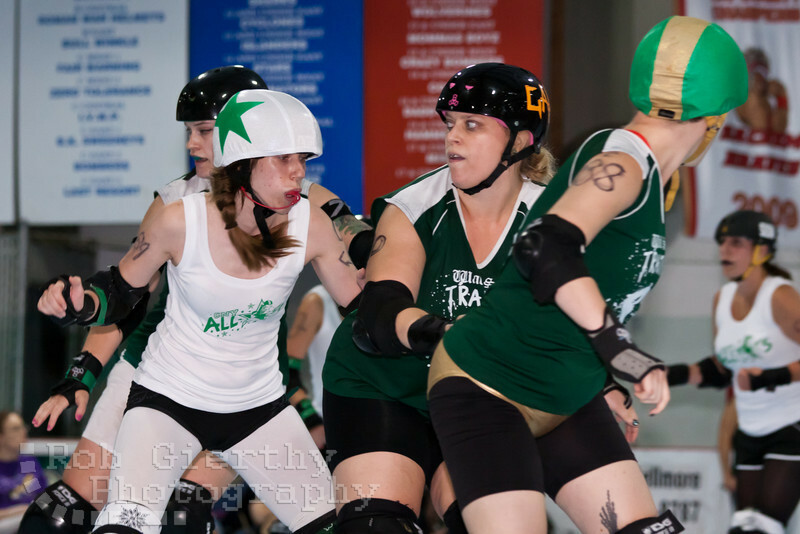 Final of the Empire Skate Showdown between the Wall Street Traitors and Central New York Roller Derby. The Wall Street Traitors won two bouts against CNYRD to become the champions.